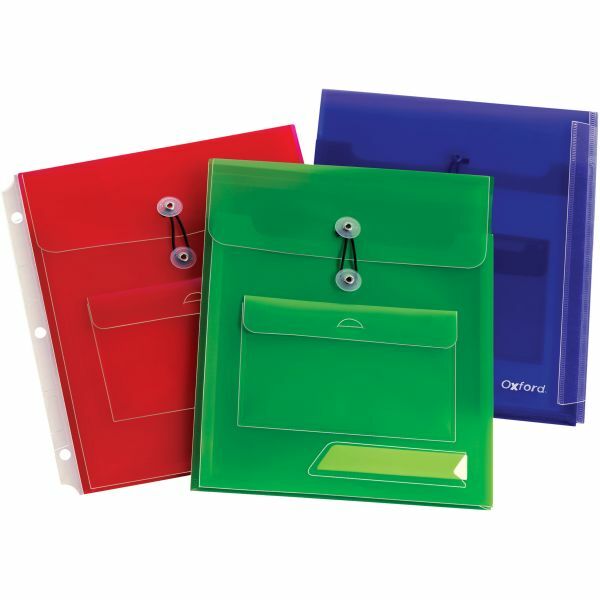 Oxford Poly Pocket Binder Envelopes - Binder envelopes in assorted colors feature unique rings that tuck away for versatile use in or out of your binder. An extra outside pocket keeps your frequently used items in a separate location for quick access. Translucent poly construction is resistant to wear, tear and moisture for long-lasting organization. Envelopes are perfect for keeping swatches, cards, files and more. 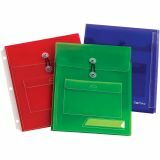 Each binder envelope is designed to hold up to 150 sheets of paper.